One of the biggest TV stars of the 80s and 90s is bringing some of the biggest musical popstars of the decades on a roadtrip around the world. 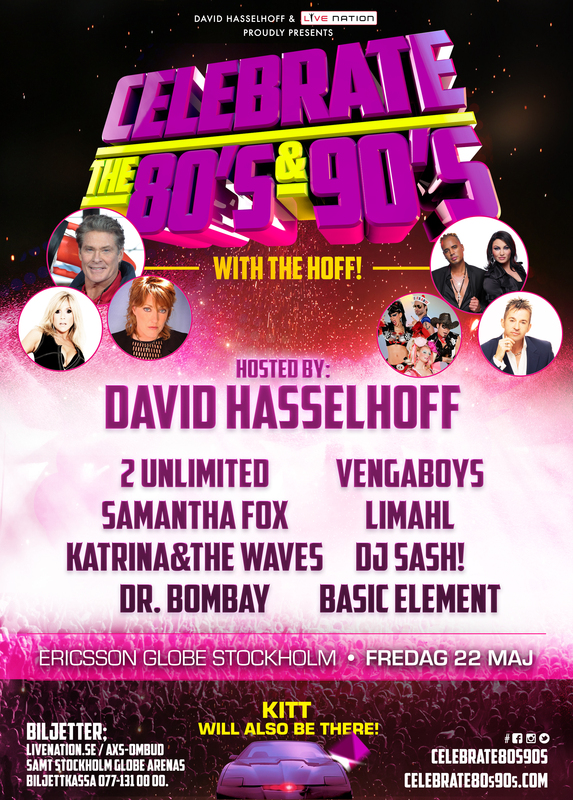 Celebrate The 80s and 90s is a 3 hour show created by David Hasselhoff and the Norwegian creators Thomas Borgvang and Chris Collings. The 3 hour show features artists like Rick Astley, 2 Unlimited, Vengaboys, Samantha Fox, Turbo B of Snap! and DJ Sash! and is hosted by The Hoff himself. Between the artists, custom made videos bringing back the memories from the 80s and 90s are presented on huge video screens.